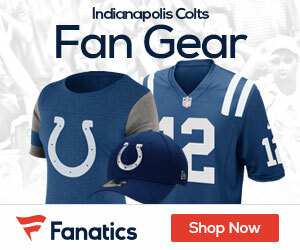 « Who Takes Home Sunday’s Faclons-Colts Matchup? LAST GAME 11/22/07: Colts 31 at Falcons 13. Indianapolis overcomes 10-point 1st-quarter deficit as QB Peyton Manning passes for 272 & throws TD passes to 3 different receivers. LAST GAME AT SITE 12/14/03: Colts 38, Falcons 7. Indianapolis scores 31 unanswered points & holds Atlanta’s offense to just 154 total yards. BROADCAST FOX (1:00 PM ET): Ron Pitts, Jim Mora, Drea Avent (Field reporter). SIRIUS: 91 (Atl. ), 113 (Ind.). XM: 228 (Ind.). FALCONS: Aim for 6th consecutive win in Nov…QB MATT RYAN is 9-3 (.750) in career vs. AFC with 18 TDs vs. 3 INTs for 96 rating. Aims for 3rd in row vs. AFC with 299+ yards, 3+ TDs & 100+ rating. Falcons are 17-0 when Ryan has 100+ rating. Has 26-6 (.813) record in games played indoors. Is 5-0 in past 5 Nov. starts with 101.9 rating…RB MICHAEL TURNER aims for 3rd in row with 100+ rush yards (130.5 yards per game). Has 5 rush TDs in past 4. When Turner has 21+ att., his teams are 25-1 (.962). Since joining Atl. in 2008, has 45 rush TDs, 2nd most in NFL… WR RODDY WHITE aims for 6th in row vs. AFC with 100+ yards. In past 5 vs. AFC, has 49 catches (9.8 per game), 690 yards (138 per game) & 7 TDs. Since start of 2007, has 410 rec., 2nd most in NFC. In Week 7, TE TONY GONZALEZ moved into 2nd place all-time with 1,104 career catches. WR JULIO JONES ties for NFC rookie lead with 25 catches & is 2nd with 358 rec. yards…DE JOHN ABRAHAM has 105.5 sacks, 2nd most among active players. Has sack in 2 of 3 career meetings. Has 3 sacks in past 2 Nov. games…COLTS: Club has 6-0 record vs. Falcons at home…In only career start at home, QB CURTIS PAINTER completed 15 of 27 passes (55.6 pct.) for 277 yards with 2 TDs vs. 0 INTs & 115.8 passer rating. Had career-high 79 rush yards last week…RB JOSEPH ADDAI has 12 rush TDs in 17 career games vs. NFC. RB DONALD BROWN has 2 rush TDs in past 3 games. Rookie RB DELONE CARTER (4th round, No. 119) is averaging 7.1 yards per carry in past 2 games (19 att., 135 yards)…WR REGGIE WAYNE (822) needs 6 catches to surpass LARRY CENTERS (827) for 19th-most all-time. Aims for 3rd straight game with TD catch vs. Falcons. In past 2 at home, WR PIERRE GARCON is averaging 103.5 rec. yards per game (207 total)…DE DWIGHT FREENEY (98.5) needs 1.5 sacks to become 26th player with 100 career since stat became official in ’82. DE JAMAAL ANDERSON spent 4 seasons with Atl. (2007-10)…DT RICARDO MATHEWS posted 1st career sack last week…LB PAT ANGERER leads team with 89 tackles.